Victor Fosser has been charged with battery. MANATEE COUNTY, Fla. — A married couple's argument turned into an all-out food fight in Florida, and a bag of Taco Bell didn't fare well. 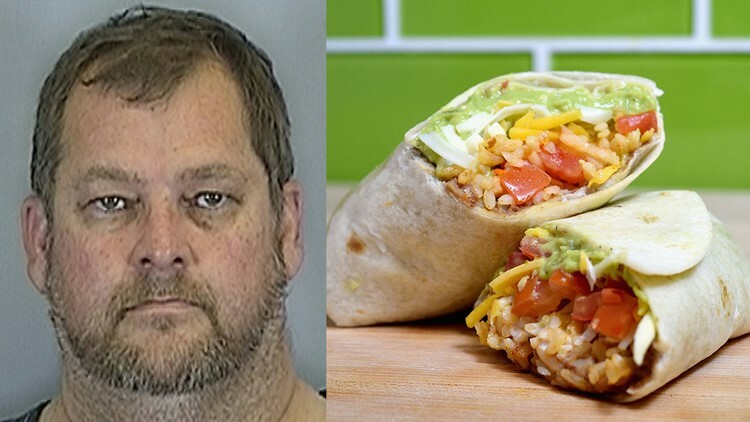 It all started when deputies say a less-than-understanding husband dangled a burrito in front of his wife's face and made fun of her for being upset about having to force her son to move out of their home. This went down around lunchtime Sunday in Manatee County. The wife wasn't amused and grabbed the burrito, throwing it behind her on the floor. Surprised by the flying burrito, investigators say the husband then picked up all the remaining burritos and smashed them in her face "causing some to go up into her nose." The husband, identified in an arrest affidavit as Victor Fosser, was arrested and charged with battery. The wife told deputies she loves him, and they are in counseling "because they do not know how to argue as a married couple," according to an arrest affidavit.